Approximately 75% of American adults need corrective lenses for clear, accurate vision. 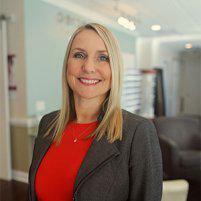 At Perceptions Eye Health and Wellness in Southport, North Carolina, Tara Parnell, OD, provides prescriptions for both glasses and contact lenses as well as a wide variety of frames and lenses to suit every style and budget. If you need new glasses or contacts, call Perceptions Eye Health and Wellness or make an appointment online today. How often should I get new glasses or contact lenses? You can get new glasses whenever you want. If you wear corrective lenses, your prescription is valid for 12 months, but you can purchase as many pairs of glasses or boxes of contact lenses as you need during that time. So, if you decide you want to update your looks with stylish new frames or want a pair of prescription sunglasses, the team at Perceptions Eye Health and Wellness can help you choose a flattering pair of frames and the best lenses for your prescription and eye health. Contact lenses are slightly different in that most people wear disposable lenses, which need to be replaced on a daily, weekly, or monthly basis, so eventually, your supply of contacts will run out. To get new contact lenses, you need to have a valid prescription. If you wear glasses, you might be able to wear the same pair for years if you don’t experience vision problems or headaches, but you’ll need to have your eyes checked annually to keep your contact prescription up to date. What are signs that I need a new prescription? If your child needs glasses, you may notice that they start to squint or hold their book or tablet closer to their face. Their academic performance may decline, and they may start to have behavioral problems at school. How should I choose between glasses and contact lenses? Both glasses and contact lenses offer a variety of benefits. You also don’t have to choose between the two options. Many patients opt for glasses while they work at a computer but switch to contact lenses when they exercise or socialize. Glasses not only correct your vision but also give you an opportunity to express your personal style. You can choose lenses for your glasses that control the amount of light that enters your eye for optimal comfort and visual acuity. Contact lenses provide clear vision in all directions, including your peripheral vision. They don’t get in the way of physical activities and don’t fog up in cold weather or rain. If you’re ready for new glasses or contact lenses, call Perceptions Eye Health and Wellness or make an appointment online today.